12 Days Of Holiday Music: Day 2 - "Have Yourself A Merry Little Christmas"
Day 2 of "12 Days of Holiday Music" is upon us and we can't help but to notice that we have a real-life Christmas miracle on our hands. 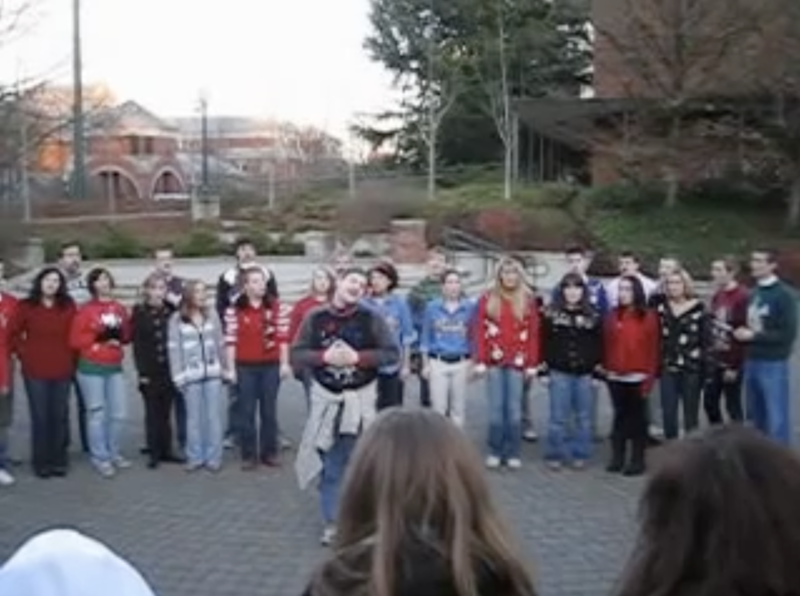 We say that because today's selection wonderfully fits into our themed countdown, is a real holiday classic, features two college groups and also happens to fit the #TBT trend. What makes holiday songs so meaningful and enjoyable is their ability to deliver major positive vibes. I mean, what other time of the year can you tune into most radio stations to hear songs on spending time with loved ones or giving to others? Halloween comes close, but the tunes aren't as catchy. So naturally, we had to find the perfect song that drops some seriously, feel good vibes. Enter, "Have Yourself a Merry Little Christmas." For starters, the song has "Christmas" in the title. Secondly, when you have two talented and award-winning aca groups such as On The Rocks and Divisi team up for a heartwarming collaboration, is there anything better? The vocals by both of these University of Oregon groups gel extremely well together, neither overpowering the other. The spirit of the season is felt through their warm tones, the execution of the inventive arrangement and the soulful crooning of the lead, whose voice was meant for such a beautiful and memorable moment. Did we mention that this performance occurred nearly a decade ago? Yeah, it still holds up. Enjoy this #TBT and check back tomorrow for our next holiday feature.